There are numerous other articles that a quick Google search will allow you to track down, but in our little piece of Oregon – this has been pretty big news this past week. I personally started keeping bees because of what I was reading regarding Colony Collapse disorder, and the dying off of pollinators worldwide. (I’d be lying if I didn’t also tell you that our own honey wasn’t a motivator) but realistically – out of the 100 most important staple food crops in the world, which provide 90% of the world’s population’s food – bees pollinate 71 of the 100. Which is why when I see things like what happened in Wilsonville and Hillsboro, I get upset and frustrated. 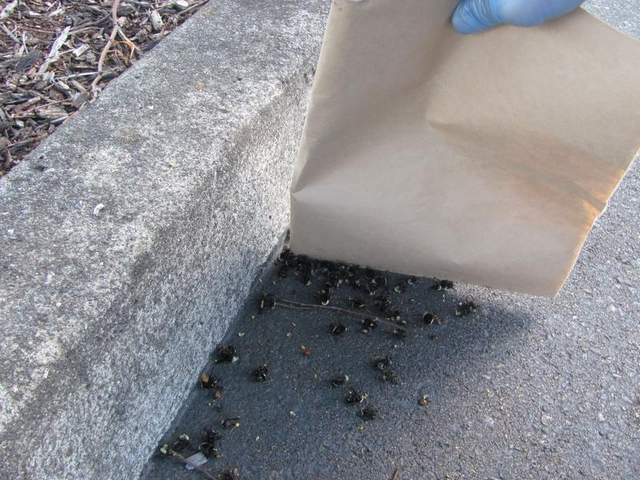 Imagine my ire when I received a phone call from my wife today while I was at work, telling me – after work, you’ve got to get down to Chemeketa and Court Streets… there are a ton of dead bumblebees. Now – Chemeketa and Court are approximate 2.5 miles from the house – within the range of our girls if they want to work hard – I don’t know if there are any other Lindens on our end of town that could have been treated… but downtown Salem has a bunch of Linden trees, they line both sides of Chemeketa Street, line the front of the Capitol and down towards the courthouse on Court Street, and are sprinkled throughout the cities downtown. (They smell amazing right now – kind of a limey honey scent) which is why the trees are literally buzzing with HUNDREDS OF THOUSANDS of bees, bumble and honey. Now – basic principle of science… Correlation is not Causation. 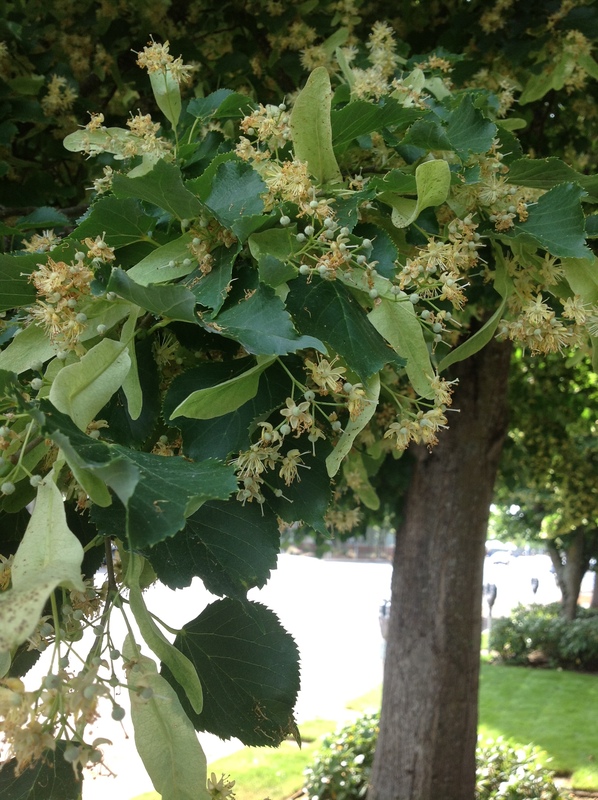 There are numerous bumblebees in the area, they are all pollinating these Linden Trees, sometimes bees die, or get so laden that they fall to the ground where they can get smashed – it’s possible that is all that happened, but with what happened in Portland, same trees, same bees, only variable is whether Safari was applied… I suppose time will tell. I have a call into the guy with the city who is in charge of the spraying to see when these were last sprayed and with what. I took some photos which I’ll place below. 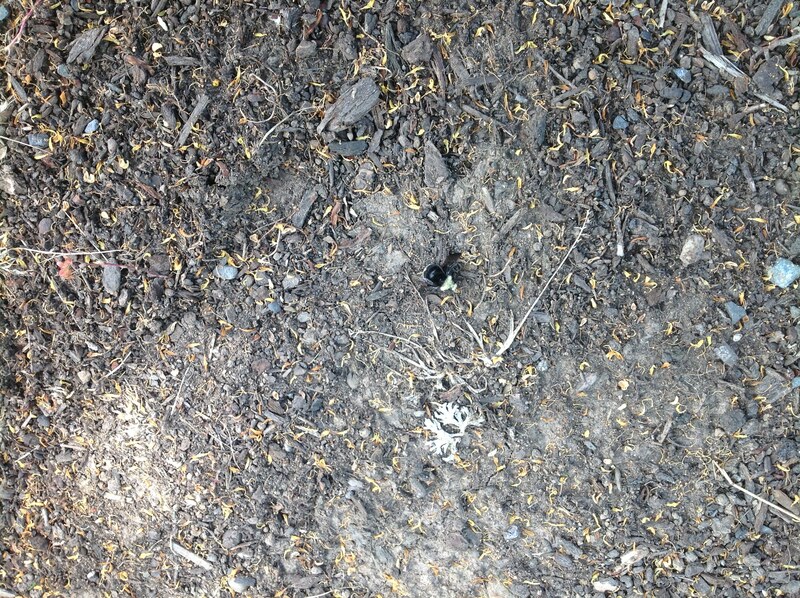 I also took a couple of videos of some odd behavior in the bees. One bumblebee just kind of wandered around aimlessly on the ground in circles, another was sitting in the grass doing repetitive cleaning behaviors when prodded. 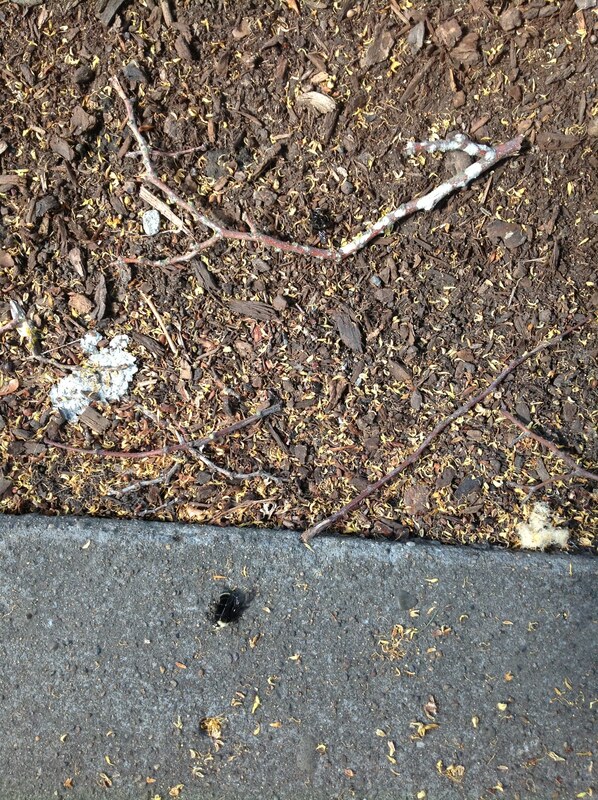 Most of the bees I came across today where clearly dead and laying on the sidewalk, in the bark dust, or in the grass, or twitching their last death throes. I probably counted a total of 50-75 between those two streets. Again, nothing like up north, but concerning nonetheless. One of the first dead bumblebees I found. 2 within 18 inches of one another. Hopefully nothing more than a few dead bees that were in the wrong place at the wrong time, and not the beginning of something more significant, only time will tell.